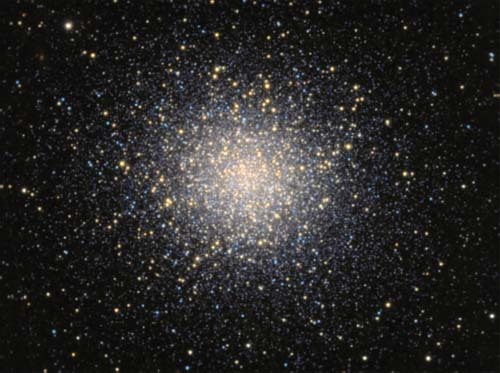 What are some examples of well-known globular clusters I can see in the night sky? In the northern hemisphere, the Hercules Cluster is easily visible with binoculars or a small telescope. In the southern hemisphere, two prominent globular clusters are easily visible on a dark night with the unaided eye: 47 Tucanae and Omega Centauri. The Hercules cluster is a globular star cluster visible in the northern hemisphere.